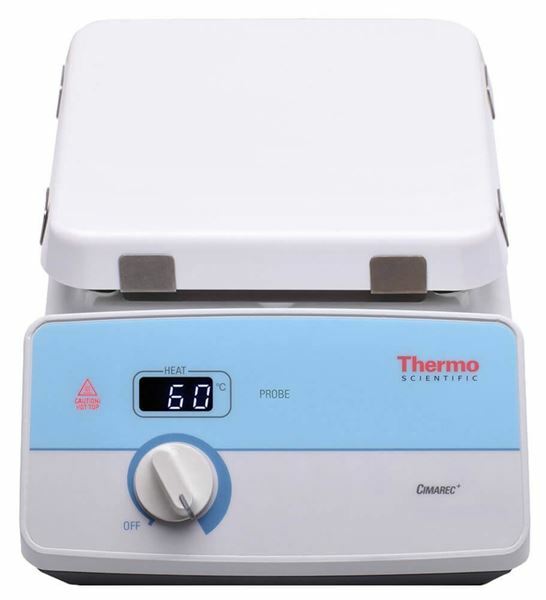 Lab Hot Plate - Gilson Co.
MA-1807 Cimarec+™ Hot Plate features 7.25in (184mm) square ceramic heating plate that is easy to clean and resistant to most chemicals. Microprocessor-controlled feedback with digital display maintains accurate, consistent temperatures with settings adjustable in 5°C (9°F) increments. Large wire-wound mica heating element assures fast, even heat up. Hot-surface alert system warns of high temperatures regardless of On/Off status. Low-profile aluminum housing prevents fluid spills into electronics. 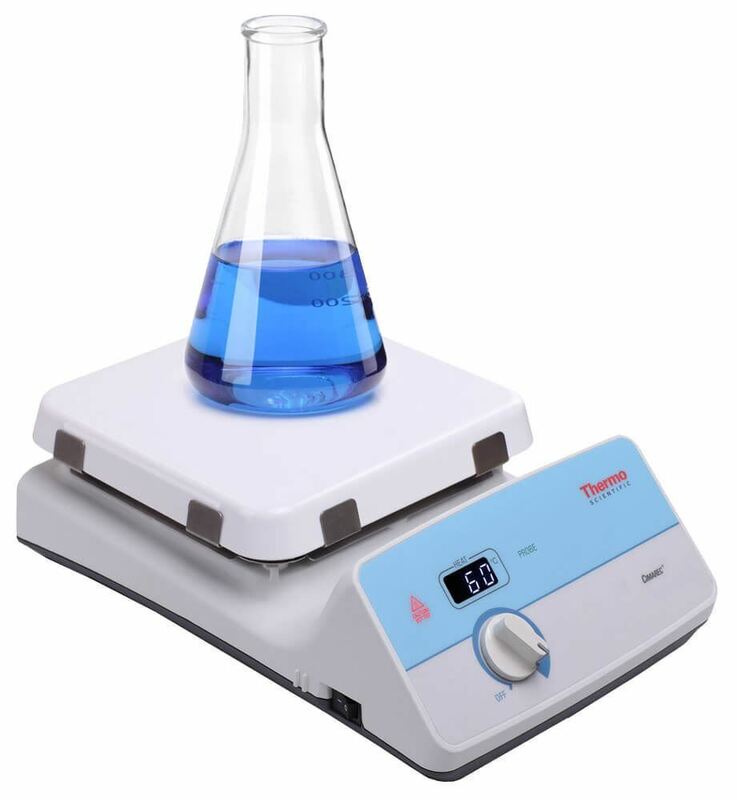 Hot plate is CE Mark.